For our whole harvest, the grape harvest is mechanized. The grape is forwarded in our cellar to be pressed. The pressing is soft for a maximum respect of the fruit. The must rests from 12 to 24 in cooled tanks for must racking (to take off the biggest particles, seeds and pulp). The next day, the clarified juice is put in tanks thermo regulated, the fermentation will be made in rather low temperatures there, 15-18°c, the more it will be long, the more the contribution of fruity aromas will be important. After fermentation the wine lays on fine lees to give more richness and roundness in the mouth.. 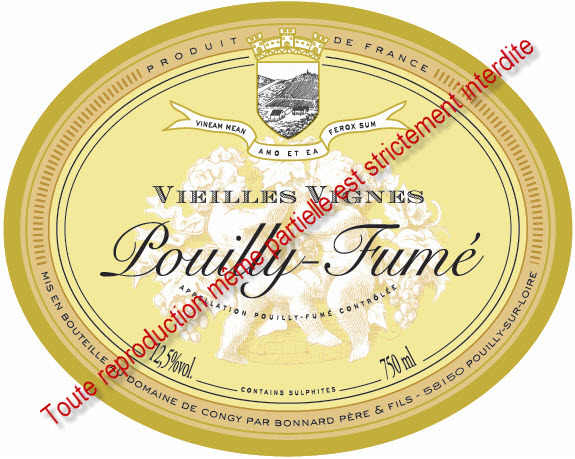 The POUILLY FUME ” Vieilles Vignes ” is produced on flint and clay soils of Saint-Andelain’s from more than 50 years vines. Thanks to great exposition, the maturity is early and these plots are alaways the first to be picked. We find in the wine, this minerality which transmits it the flint, still called “Pierre à fusil”. It stays one year in tank before the bottling. It can be kept 3 – 5 years before drinking it. This wine is great for aperitif. You will enjoy the nice pairing with a fried “foie gras”, frogs’ legs, shellfish, cheeses and other dishes. The ” Cuvée des Galfins ” is made from a single plot of land situated on kimmeridgian marls. We wait for the ideal maturity to reach the best expression of aromas. Grapes are always gold colored and give different notes according to vintages : lemon, grapefruit, orange, mandarin, sometimes even exotic fruits. 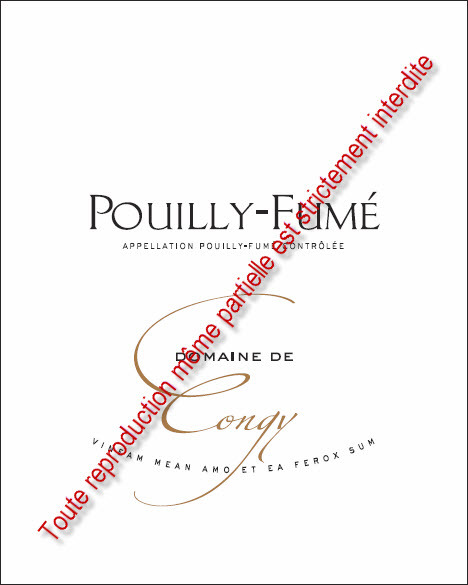 The ” Domaine de Congy ” is made from vines on Argilo-calcaire. The wine is often more crispy with notes of white fruits, green apple, pear and white flowers. It will be really appreciated at apéritif or with a dozen of oysters. 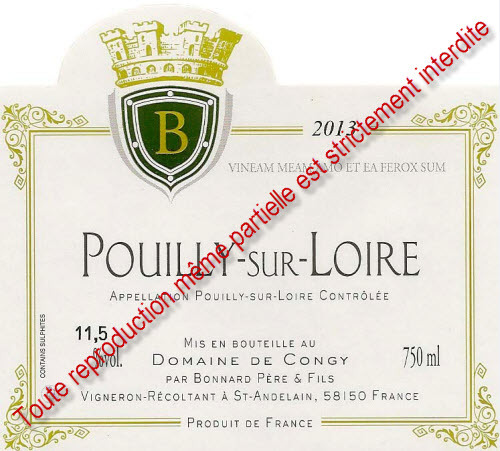 Our Pouilly sur Loire, with Chasselas grape is lighter. We also name it the ” wine of thirst “, served at any time as the day. Its notes of flower, jasmine, suit perfectly in the apéritif with a liqueur. This kir will open you the appetite. Very fresh on its own, it will accompain your seafood platter. 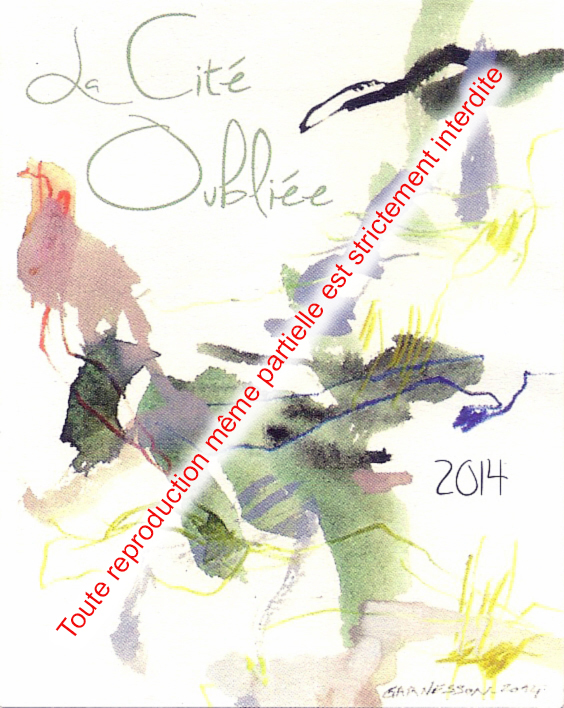 The grapes that produce our wine “La Cité Oubliée” (The Forgotten City) come from an old vines (1956). The Sauvignon and the Argilo-calcaire soil give it this typicality. It will delight your aperitifs and successfully accompany your meal. 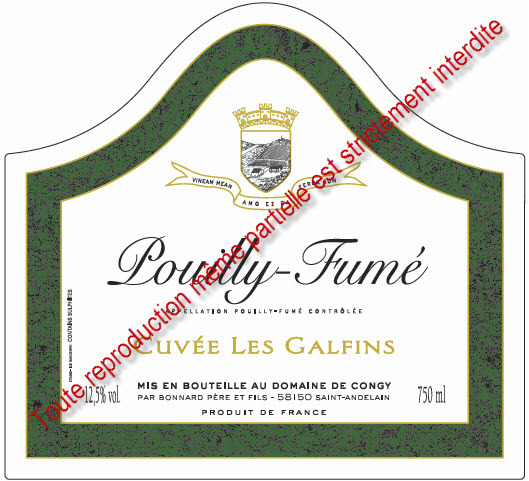 Loire Valley Wine Country – Protected Geographical Indication. A friend for us made sparkling wine with a part of our production. 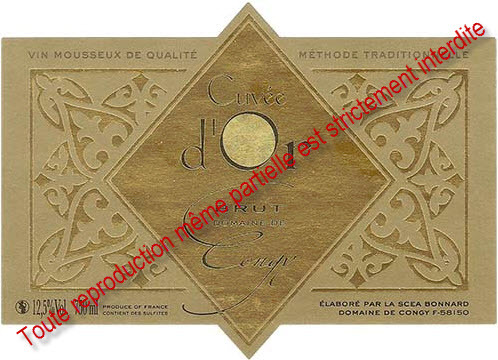 He uses “méthode traditionnelle” to obtain a very nice sparkling wine, pleasant from the aperitif to the desserts. One who knows how to taste never drink wine, but it tastes its sweet secrets. I tolerate only one weapon, the corkscrew. Wine is the healthiest and most hygienic of beverages. Wine is what is the most civilized in the world. Wine is the intellectual part of a meal. Meat and vegetables are only the hardware.